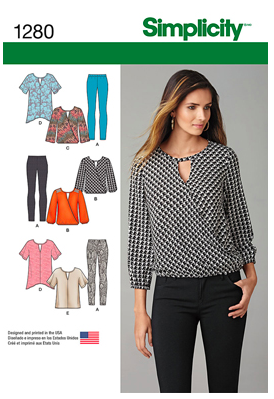 Simplicity has got more new patterns available! 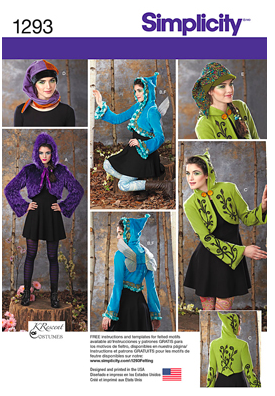 Of course, these were posted to the Pattern Review website a while ago, and some lucky people already managed to snag them in a sale! They’ve only just been posted to the Simplicity website, and my local fabric stores don’t have them in yet. They’ve also got the new New Looks up too. 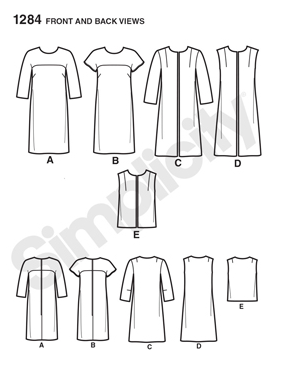 (I was on the website as they were updating their images, so I actually had to wait to post this…) Actually, I’m more anxious for the the Simplicity website to update the Burda patterns section – they’ve been announced for several weeks already, how long does it take to distribute these things? The one good sign is that my local Joann’s didn’t have any Burda books on the table, and a “Do NOT Inventory” sign on the Burda cabinet. Does that mean the new ones are in? Sales are forthcoming, these are things I need to know! 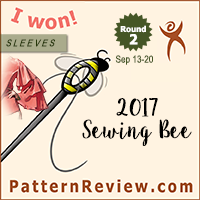 S1276 – The new Mimi G dress pattern! I really like the color blocking here – interesting, but not too wild. they’ve decided to photograph. The rest of the options… meh. 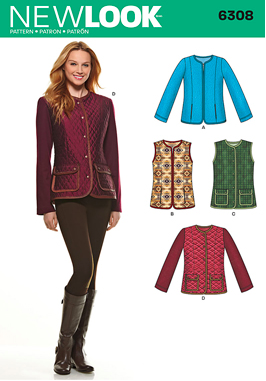 are any different for a Threads pattern? designs. But I never get them because I always find them sort of dull. but not enough of a difference to look cool. Sort of just looks like the hem got crooked. S1281 – Poncho/vest/wrap thingy. Too much heavy fabric. is so claustrophobic, but I actually like view C (white). This might go on the list. Yeah, just too boxy for me. S1287 – Look, men’s clothes! Would a guy actually wear this? actually know guys and sew for them? sleeve length too, if they get fussy. 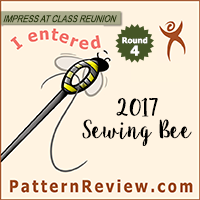 S1299 – Costume pattern! Love the details on these jackets. full ball gown, but also keeping it a tasteful length. using other patterns I already have. 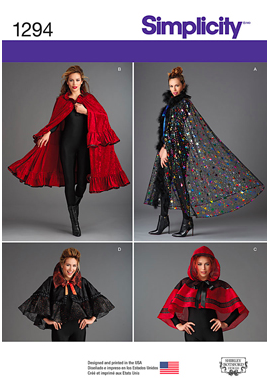 I feel like there are better cape patterns out there. there are wings), but it just looks like mini hoodies to me? Maybe I do not understand the reference? 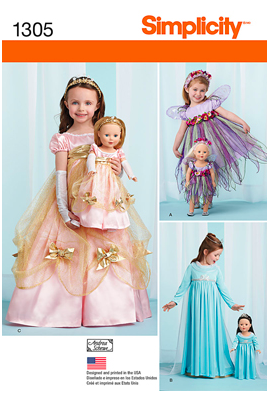 has several styles for both girls and dolls – so economical! S1298 – How cute is this??? 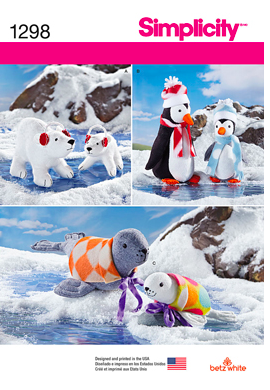 Those penguins are adorable! There are several other new patterns, but I think we’ve seen enough his/hers nightwear and scrubs patterns at this point. Not that there is anything wrong with sewing scrubs. Some people are making some awesome scrubs. Just that there are already a lot of patterns for them, so I don’t feel the need to show them off here. is the problem that slash and spread was designed to fix. Not a particularly new design, but who can’t use a good wrap dress? way because this looks very similar to a dress in the September Burda. 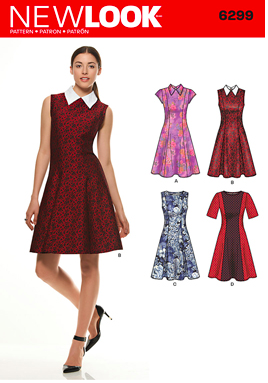 I think I liked the style lines on the Burda dress better though. find myself wanting one for some reason. It is… not logical, I know. But the more I look at it, the more I think, yeah, I could rock that. Even though it is a sack dress with patch pockets. On the hips! Ack, what is wrong with me today? 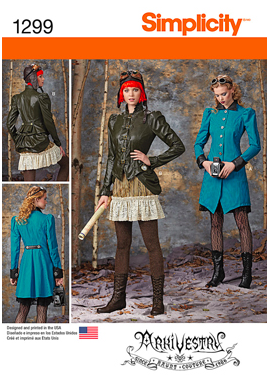 NL6302 – Sheath dress and jacket. Fine, but not particularly exciting. I think we’ve seen similar from New Look before. but not terribly exciting. 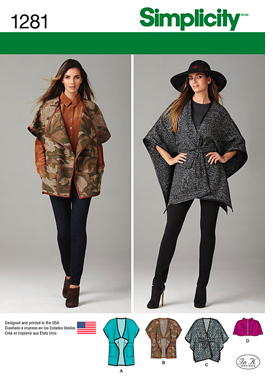 Practical for fall though. NL6303 – Looks very similar to S1280 above. 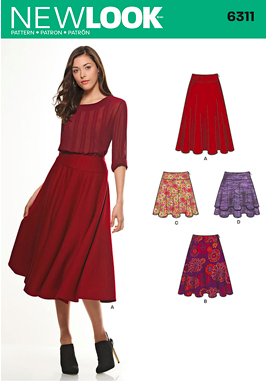 prefer the waistband and not the high-low hem. I guess if you like this style of shirt you can have options? 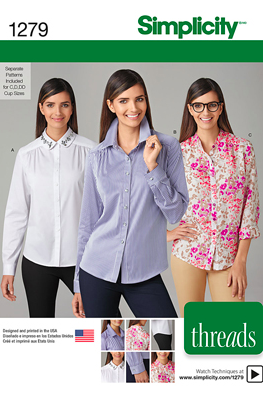 NL6304 – Boxy button down with ruffles at the hips. It’s like, everything I don’t want in a shirt. 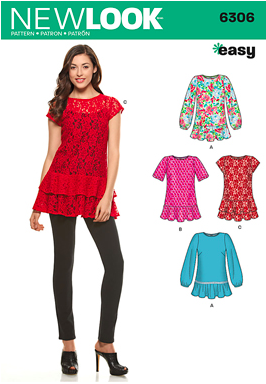 NL6306 – More hip ruffles. Bleh. 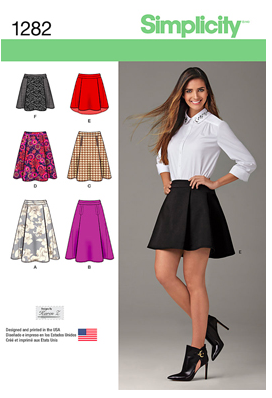 NL6312 – I do like the lines on this pencil skirt! 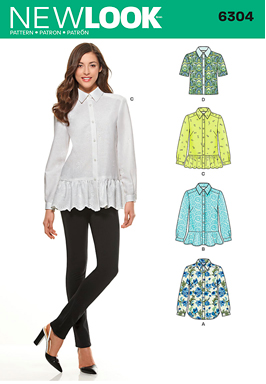 pattern also comes with pants, a top, and a jacket. to keep it slim over the hips. Looks like it would be fun to swoosh around in. pattern better? Though this has a smaller waistband if that is of concern. 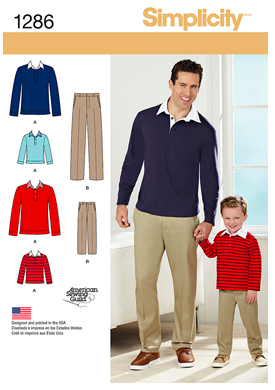 cardigan patterns and skinny trouser patterns to create a similar look. 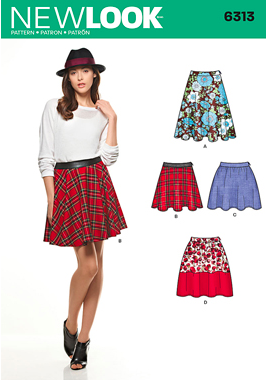 NL6314 – Another circle skirt option with sweater. Apparently the sweatshirt is the fashion statement for the season? So there they be. I’m finding myself (surprisingly) responding more positively to the New Look designs on the whole, even though they aren’t particularly new or different or interesting. They are just silhouettes and shapes I tend to like. And I’m even a fan of the pattern sporting the silhouette I don’t usually like. It is… odd. 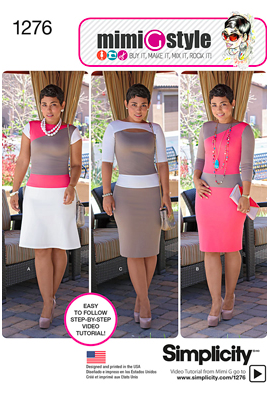 As far as the Simplicity patterns go – I’m loving the Mimi G. looks! Do I have the confidence to pull off such tight fitting knit garments? I don’t know. But I love the shape of those pants, so at the very least I can frankenpattern the bell-bottoms onto another pattern drafted for wovens at the top. Groovy jeans anyone? Yes, yes I think so. The rest of the Simplicity release… not overly exciting. It is nice to see wearable looks for men, and some of the costume patterns are kinda cool, but not a whole lot of exciting fall wardrobe type patterns, though I suppose we got those in the last release. So, what do you all think? Are you loving the New Looks? Or are all the shapes and styles so similar to previous patterns that they are just a snooze? What about the Simplicity release? 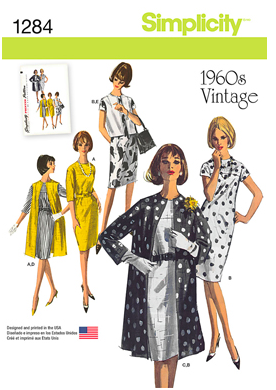 Anyone else dying for those Mimi G patterns? 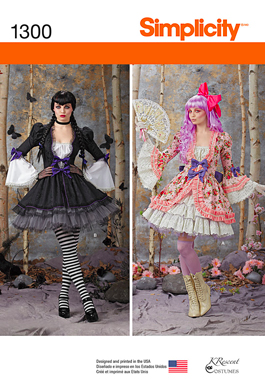 Or are you (like me) a bit intimidated to try those styles? Feel free to discuss in the comments! Mimi G! All the way! Love the patterns! Everything else is ok. None of the costumes I see myself making right now. Ooh I didn't know there were new New Looks! Must check Hancock. 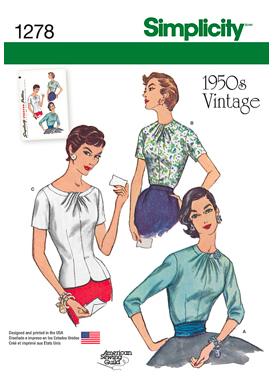 I want to fight those hip-ruffle shirts. Meh. Love the sweatshirt-y tunic-y dress. And LOVE the wrap dress! I went back and got the two men's patterns. I believe they are both very wearable and agree that view C is the best of the first one. Without those contrasting bits. I agree with you on just about all. 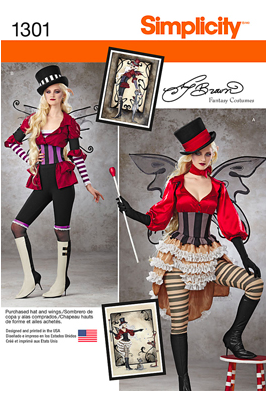 I'm not overly excited for any, but I agree about the Amazing FIt – most are basics but this one has a bit more style. I think that the men's patterns are good basics that really aren't out there. 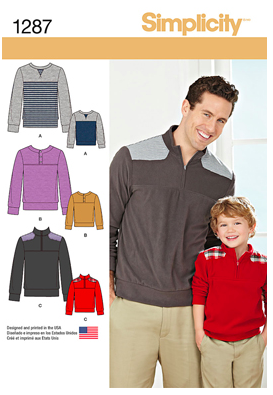 I'm not sure I've really seen a knit polo type shirt pattern in recent years. So, that's a plus. And I think that in a different color blocked scheme the other could be nice too – I don't really like the envelope art. PS – Thanks so much for your comment on my blog. It's a very happy time for us! Yeah, I could see the hip contrast being weird. Though one could always just not use a contrast fabric there. The seam is nice though for fitting purposes (says the girl with the worst swayback in the world). I'm still really just mostly excited by those pants though.